SOMOS ARQUITECTOS PUBLICATIONS: MADRID ARCHITECTURE ITINERARY. PANORAMA ARCHITECTURE NEWSPAPER. MADRID ARCHITECTURE ITINERARY. PANORAMA ARCHITECTURE NEWSPAPER. SOMOS.arquitectos published in PANORAMA ARCHITECTURE NEWSPAPER, 2009.07. including a supplement dedicated to "Cities in the world", to promote the knowledge of recent architecture. This number is dedicated to Madrid. 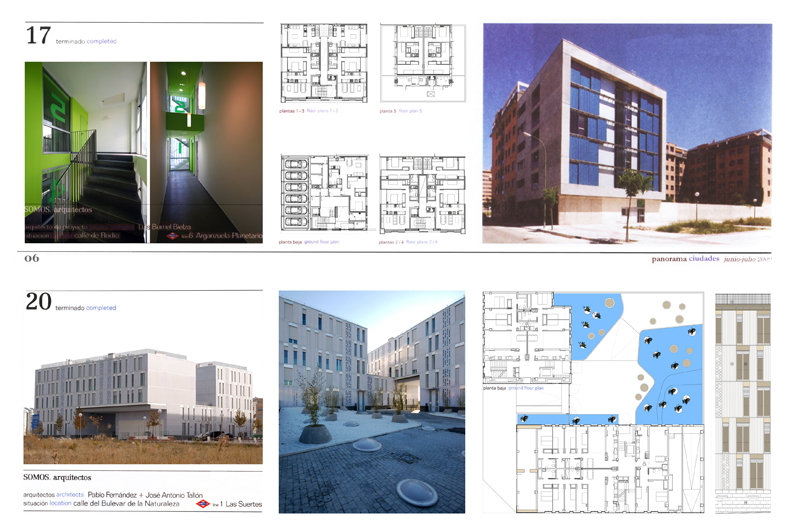 Two projects are selected: 17 social housing Embajadores, and 35 social housing Vallecas 11.